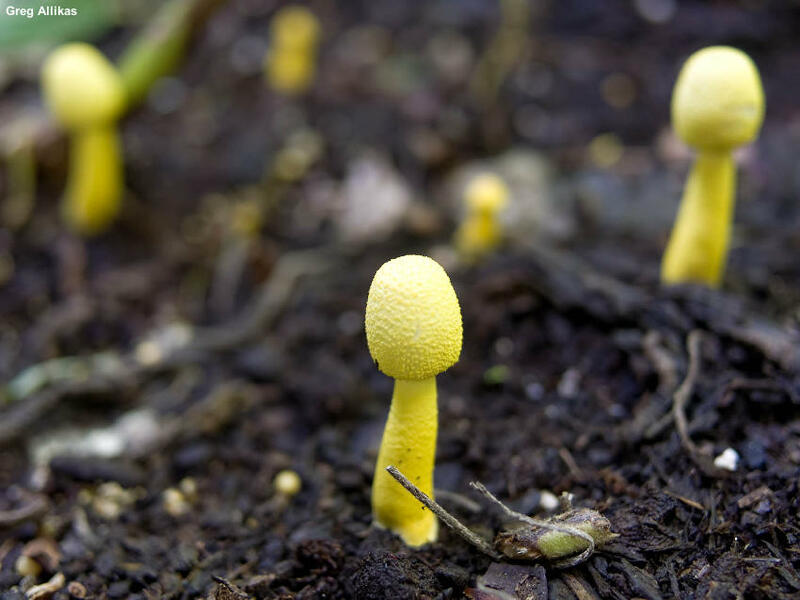 I receive many frantic e-mails about this little yellow mushroom, since it has a tendency to pop up unexpectedly in people's flower pots—even indoors! 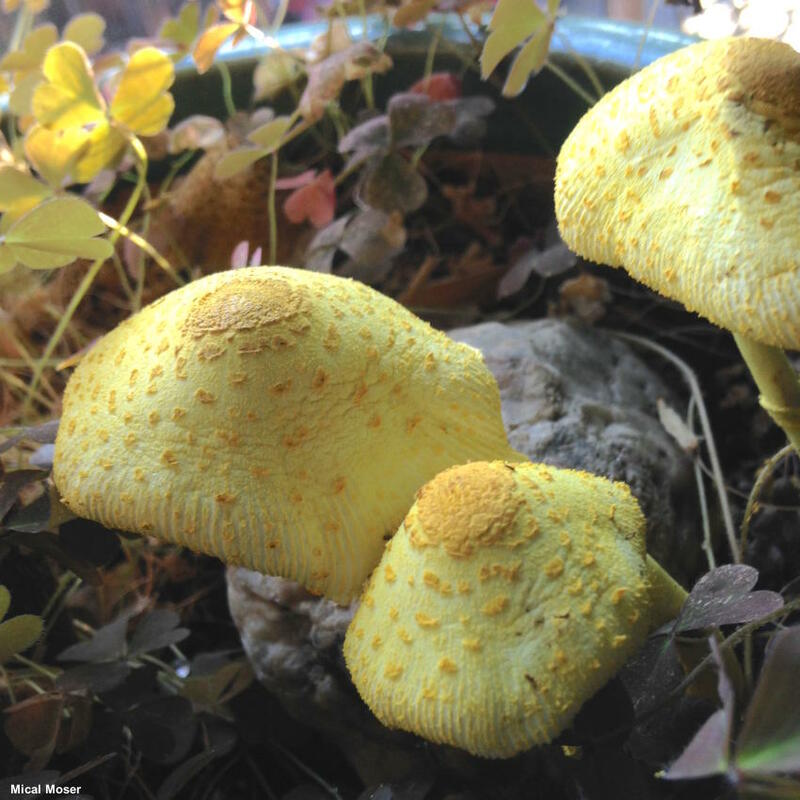 I have only seen it once, many years ago, before I began studying mushrooms in earnest. So I have no photos of fresh specimens of my own to share with you. However, many readers have documented and preserved collections, which they very kindly sent to me for study; these collections are featured here and described below. Leucocoprinus birnbaumii won't hurt your plant. There is no getting rid of it, short of replacing all the soil in your planter (and even then it might reappear). Since it makes such a beautiful addition to your household flora, I recommend learning to love it—and teaching your children to love it, too. 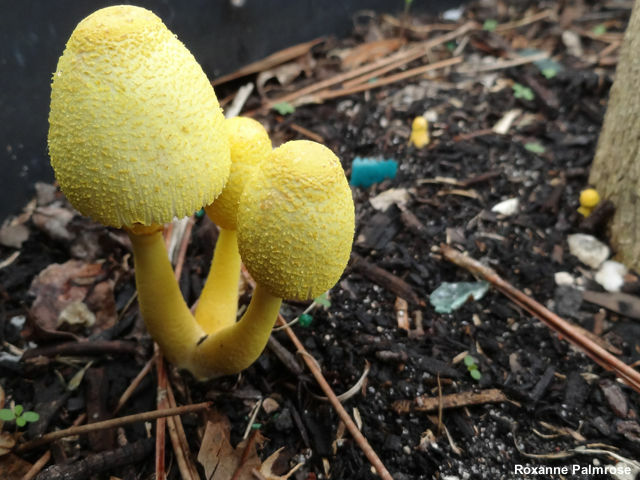 Perhaps your child would like to become an awesome and famous mycologist some day! 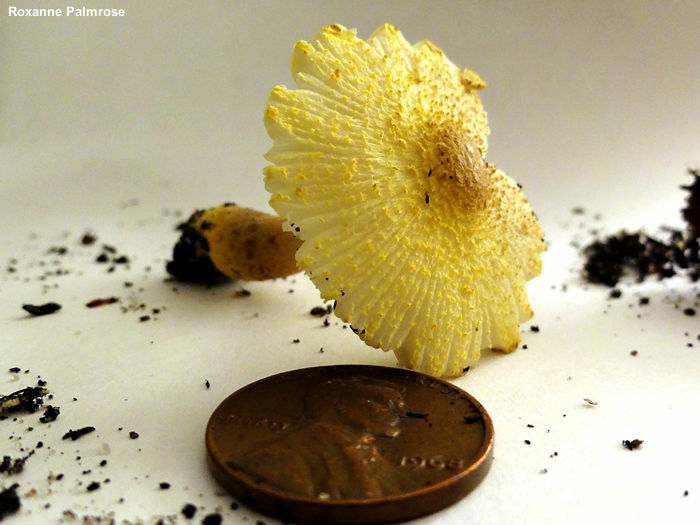 Lepiota lutea is a previous name. 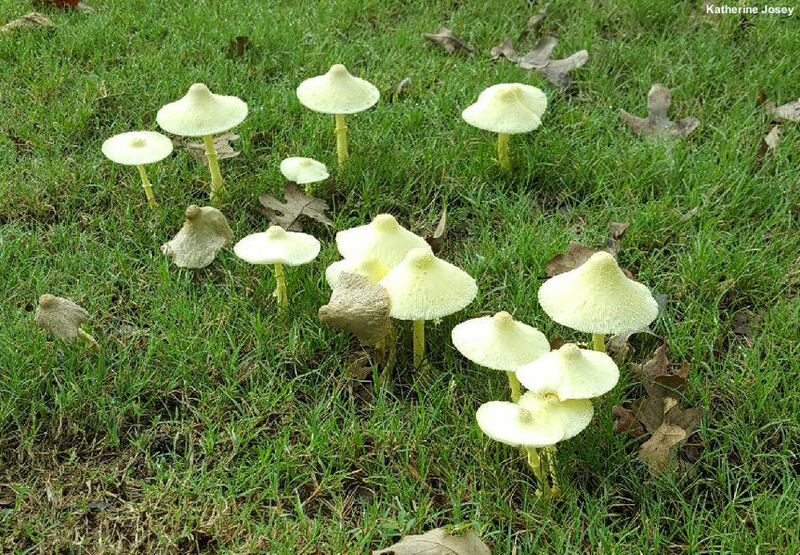 There are several similar species, including Leucocoprinus tricolor (with a brown cap center, pale yellow colors, and a chrome yellow stem base), Leucocoprinus flavescens (with a brownish cap center and smaller spores) and Lepiota fragilissimus, with an extremely thin cap and pale gills. 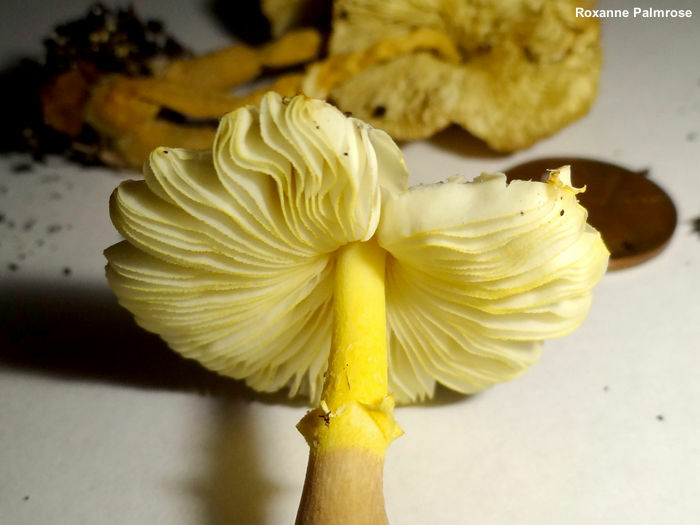 Thanks to Roxanne Palmrose, Gary Cook, Ellen Cobb, Katherine Josey, Mical Moser, and Greg Allikas for collecting, documenting, and preserving Leucocoprinus birnbaumii for study; their collections are deposited in The Herbarium of Michael Kuo. 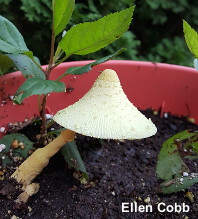 Ecology: Saprobic; growing alone, gregariously, or clustered in flower pots, greenhouses, and so on—or, in warm conditions, outside in gardens, lawns, and other cultivated areas (often around stumps); also growing in hardwood and conifer forests, especially in disturbed ground areas (pathsides, etc. ); outdoors in summer, indoors year-round; widely distributed in North America. The illustrated and described collections are from Florida, Texas, Indiana, New York, North Carolina, and Oregon. Cap: 2.5–5 cm across; oval to egg-shaped when young, becoming broadly conical, broadly convex, or bell-shaped; dry; powdery to finely scaly; the margin lined or grooved nearly to the center by maturity; bright to pale yellow, often with a darker (but not brown) center. 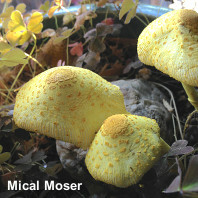 Gills: Free from the stem; crowded; short-gills frequent; pale yellow to yellow. 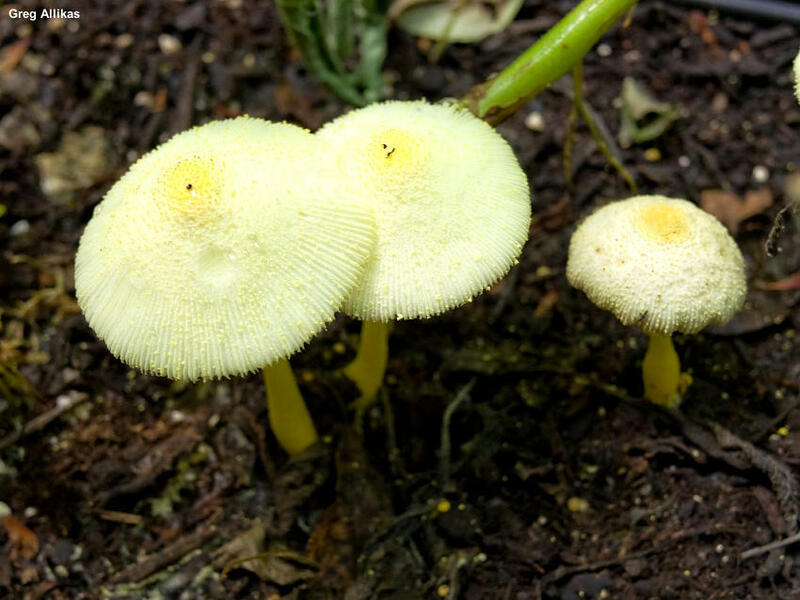 Stem: 3–10 cm long; 2–5 mm thick; more or less equal above a slightly swollen base; dry; bald or powdery; with a fragile, bracelet-like, yellow ring that sometimes disappears; basal mycelium pale yellow. Flesh: Whitish to yellowish; very thin. 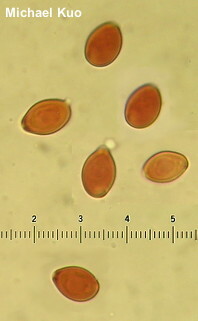 Microscopic Features: Spores 8–12 x 5–7 µm (occasionally shorter, 7–9 x 5–6 µm); ellipsoid to slightly amygdaliform, with a 1–2 µm pore at one end; smooth; thick-walled; hyaline in KOH; dextrinoid. Basidioles inflated, brachybasidiole-like. Cheilocystidia to about 50 x 15 µm; ventricose; rostrate; thin-walled; smooth; hyaline in KOH. Pleurocystidia absent. 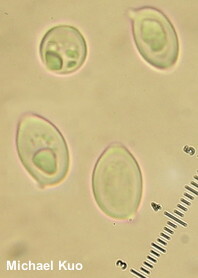 Pileipellis a cutis of elements 5–10 µm wide; terminal cells cylindric with rounded apices. 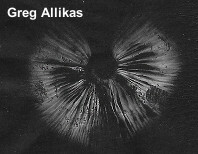 Floccose material on cap surface composed of inflated, subglobose to pyriform elements 15–25 µm across. REFERENCES: (Corda, 1839) Singer, 1962. (Bolton, 1788; Saccardo, 1912; H. V. Smith, 1954; Smith, Smith & Weber, 1979; H. V. Smith, 1981; H. V. Smith & Weber, 1982; Weber & Smith, 1985; Arora, 1986; Phillips, 1991/2005; Lincoff, 1992; Metzler & Metzler, 1992; Horn, Kay & Abel, 1993; Barron, 1999; Vellinga, 2001e; McNeil, 2006; Kuo & Methven, 2010.) Herb. Kuo 12071501, 04171601, 07101601, 07261601, 08231601, 08301601.